I have a soft spot in my heart for southern literature. In college I had to read Midnight in the Garden of Good and Evil and that book actually revived my interest in reading. At that time I hadn’t picked up a ‘for fun book’ in about five years so when I read that book even though it was for a class, I remembered how much I loved books. One of the things that I loved about that book was the unique southern charm. 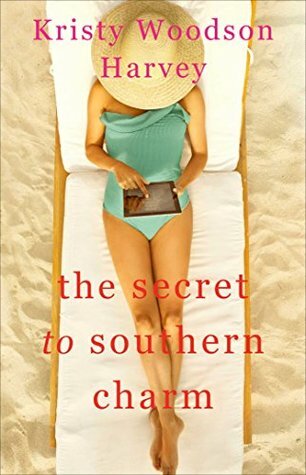 Now that book was obviously not chick lit or women’s fiction and I am most certain that it was not meant to be ‘charming’ but the setting really stuck with me and since then I have read a number of books set in the south which brings me to this book and the Peachtree Bluff series! So many things about this series scream southern charm! The characters, the setting, even the covers just remind me of sweet tea! When the first book in the series came up for review, I couldn’t say no. It just sounded so summery and fun and I absolutely fell in love with it. I have read other books by Woodson Harvey and she writes with such confidence in the genre that it’s hard for me to pass on any of her books! Since reading her first book, Lies and Other Acts of Love, then I have been eager to read anything by Woodson Harvey!